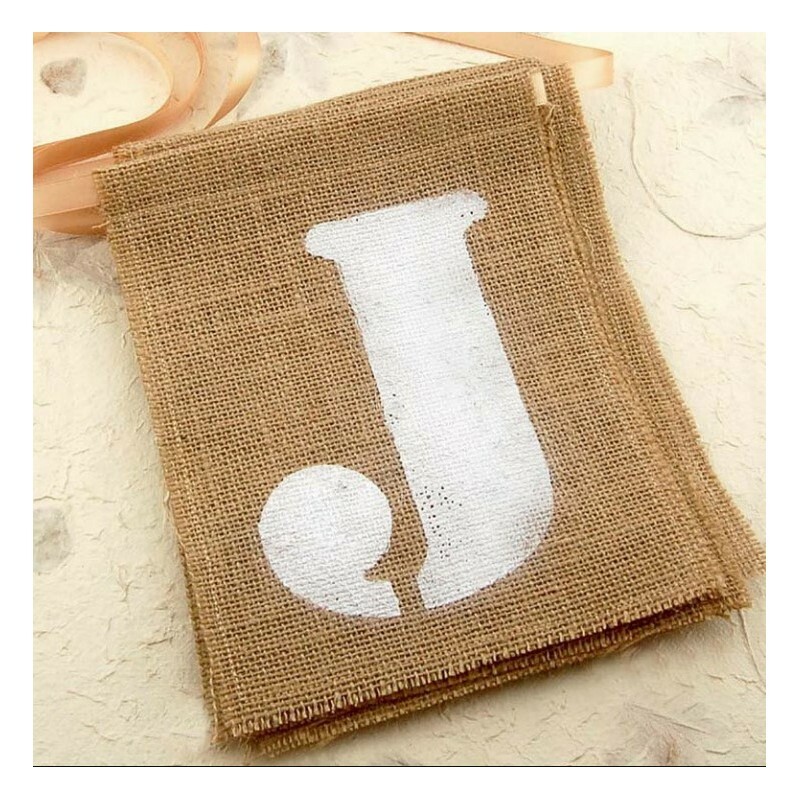 You will receive customized Hessian burlap buntings / flags in the quantity you choose. Each flag is approximately 18 cm x 20 cm and can be printed with a capital letter, a number, a punctuation mark, a heart or other symbols. These are hand painted on the bunting with acrylic paint (in black, red or white). Please do not hesitate to contact us if you have your own design in mind and we will be happy to make it for you. 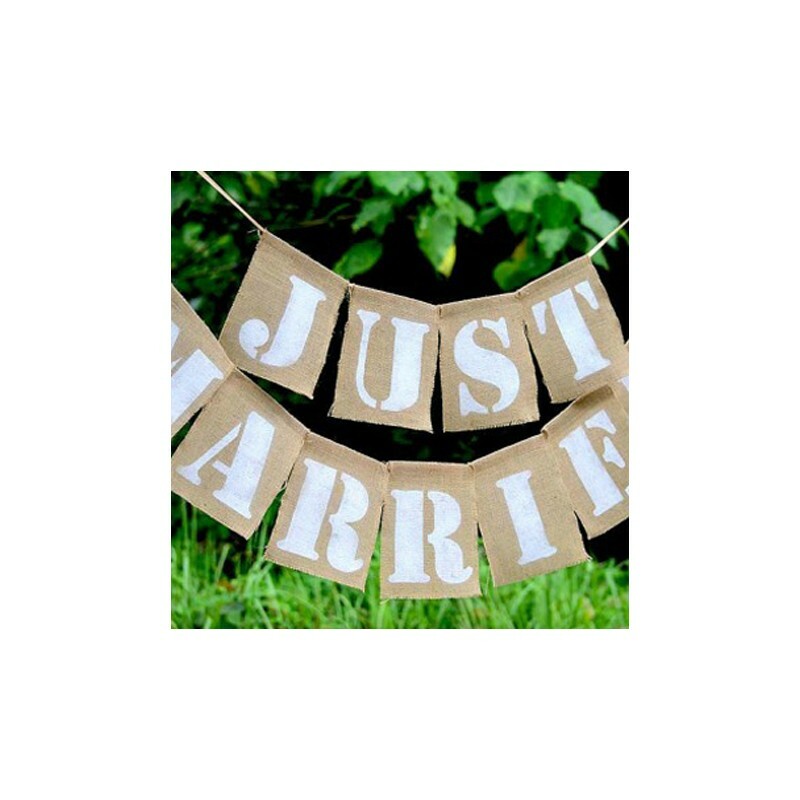 You will need to order the correct number of buntings to fit your preferred wording / design. Email us at cs@crafio.com.my after making your purchase, and quote us your order number to let us know your preference. 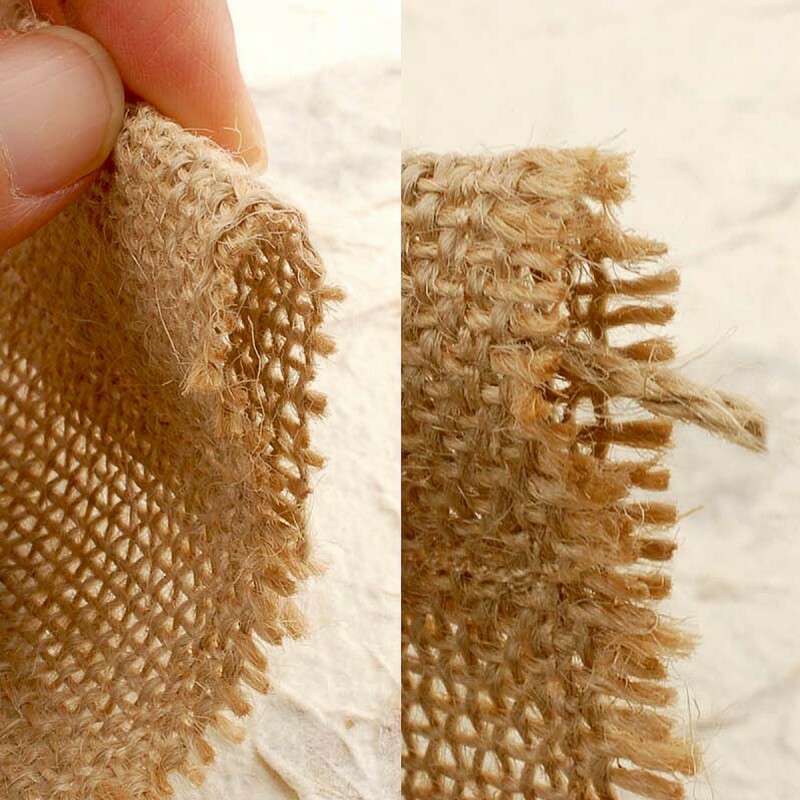 The edges of every bunting is hemmed with a sewing machine to prevent fraying, while the top edge has a seam approximately 1" (2.5 cm) wide, forming a horizontal loop that allows the flag to be strung up easily with a jute twine or string. To pull twine through the flags, just tie the twine to the end of a stick and insert the stick through the loop. 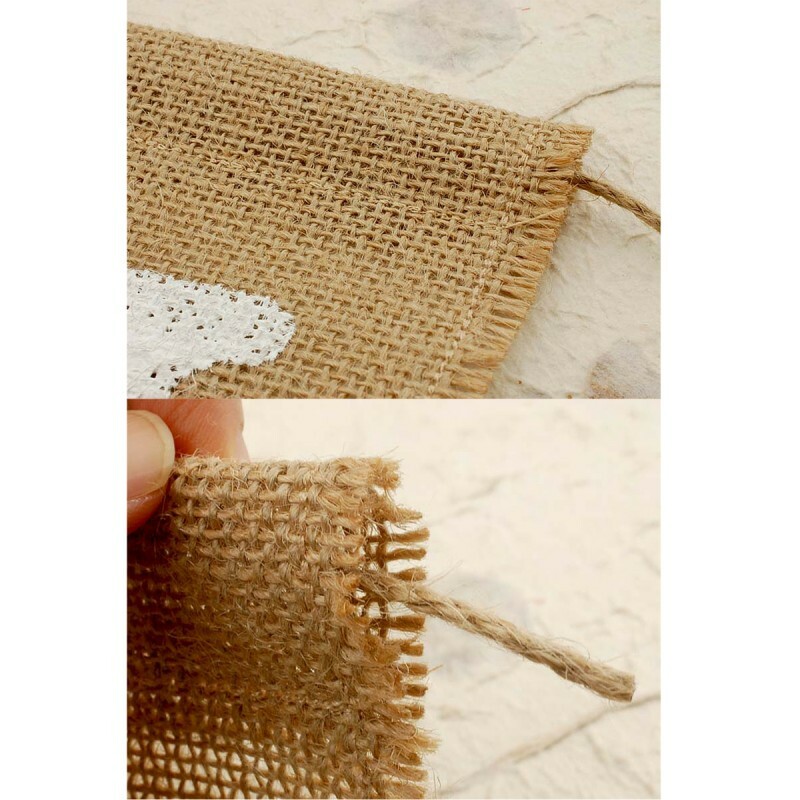 Jute twine and strings are sold separately in our store. 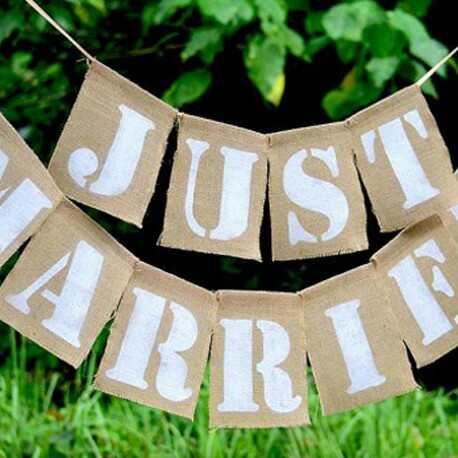 The 3 mm jute twine will be best for the buntings. Perfect for decorating backdrops, fences, vehicles, buffet tables, and just about anything you can think of. 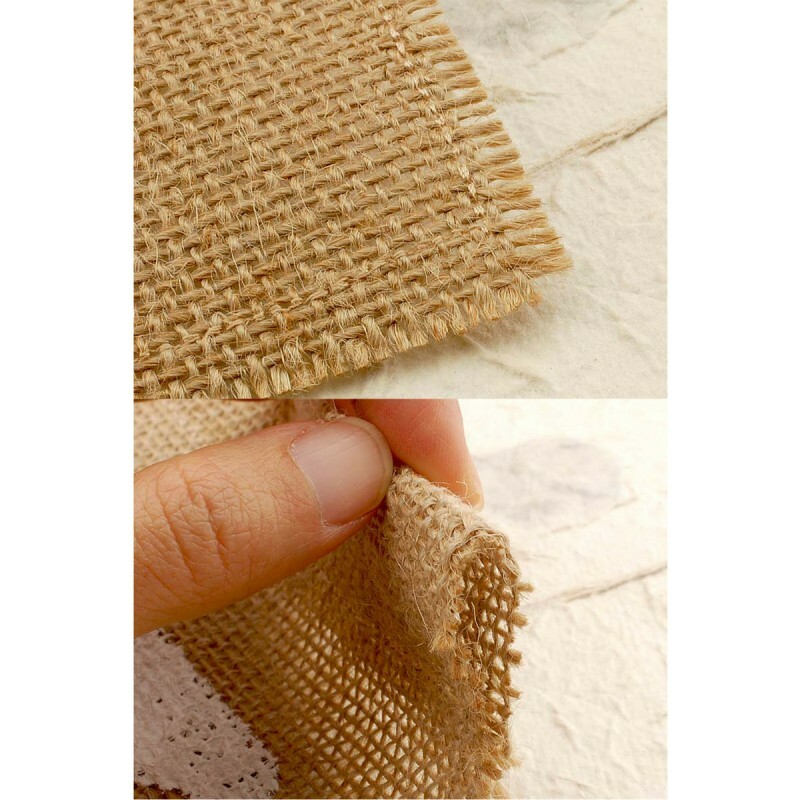 Create a rustic look with burlap!